Skellig Rangers G.A.A Club was founded in 1895 by Michael Devane and H.P. Lannen.These two men would also go on to be officers in the first divisional board to be set up in the G.A.A when they were founder members of the South Kerry G.A.A divisional board in 1903. It was then known as Portmagee G.A.A club and adopted the present Skellig Rangers name in the 1930s.Portmagee played in three County Senior Championships 1896,1897 and 1917.From 1918 to the early thirties many townlands in the Portmagee area had their own teams . The late 20s and early 30s saw four teams in Portmagee with the political climate at the the time causing this fragmentation of the G.A.A. in the area.These teams almagmated to be known as Skellig Rangers and won their first divisional championship on the field of play in 1936. Skellig Rangers club again won the South Kerry championship of 1946 of which the final was played in 1947. It was to be 1968 that the Rangers came out as the best in South Kerry again when they defeated St Marys. The Senior team also won the County Novice B Final in the year 1997 The club were also South Kerry League Champions in 1980,2004 and 2005.The Rangers won out again in the South Kerry Senior Championship in 2006 and in 2009 they added the County, Munster and All-Ireland Junior club Championship. Skellig Rangers did not have their own permanent home for many years and since the mid 1970s the club has seen massive efforts in the financing and development of playing facilities with the first game being played on their new pitch in 1981.The club did not stop there and developed new dressing rooms in the late 1980s.The next stage of development came in the mid 1990s when the Rangers totally redeveloped their playing pitch and also the erection of a new stand with dressing rooms underneath.This stage of development culminated in the official opening of Pairc Chill Imeallach in May 1999 with the Kerry Senior team playing Laois in a challenge. Being the club they are the members did not rest there and a major development of dressing rooms,state of the art gym and meeting rooms was initiated and this was completed early 2008 and also the Rangers playing pitch has top class lightning to facilitate training in the winter time.It is a great feat for a small club to have these facilities and the standard of the club’s grounds were instrumental in Skellig Rangers being able to play their 2009 Munster Junior Championship semi-final at home. 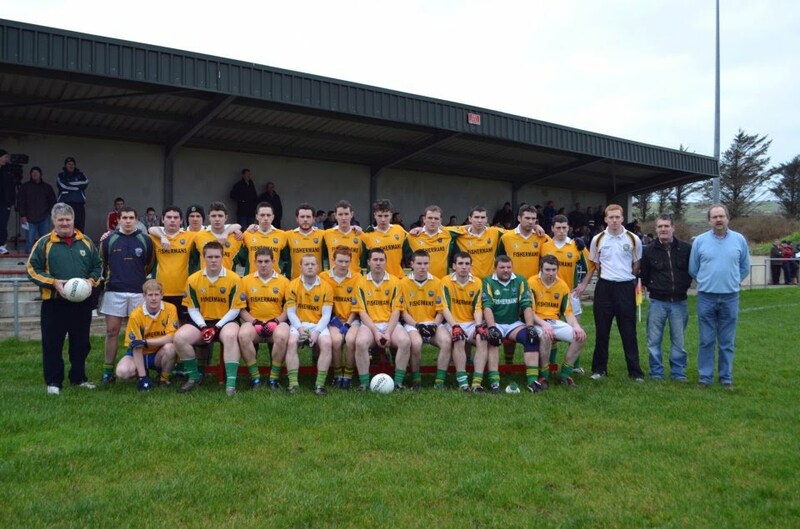 In January 2012, Skellig Rangers Junior team won the South Kerry Junior Championship against St.Mary's on a scoreline of 2-9 to 0-7, played in Valentia. Below is a picture of the victorious team and management.